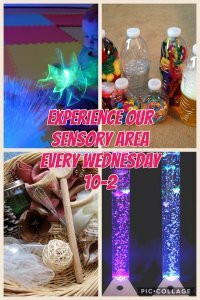 Starting on Wednesday 1st March 2017 we will have a dedicated sensory area available from 10am until 2pm, it will include many sensory objects, lighting and much more. It is proven to be extremely beneficial for babies and autistic children. This is all included in your entry fee!